and bring Reader Happiness . Synthesis per year 50000 tons of The LUXURY MATERIAL with plant's quality up to 1 Trillion Dollars USA per one ton . 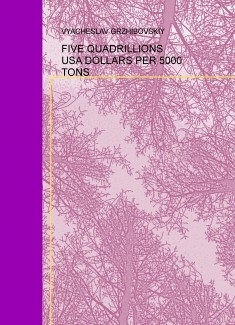 Synthesis per year 50000 tons of The Diamonds with plant's quality up to 1 Trillion Dollars USA per one ton . Synthesis per year 50000 tons of The COFFEE with plant's quality up to 1 Trillion Dollars USA per one ton . And else 3000 couplets , 127 poems and sonnet.